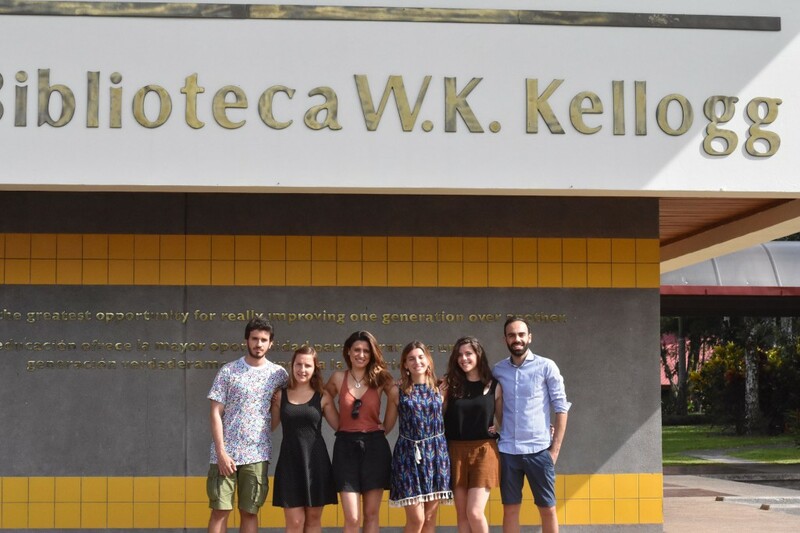 During the last week of April, six Italian professionals of various scientific backgrounds made the intercontinental trek to EARTH University. Their mission? To immerse themselves in the study of carbon neutrality. The group learned of the opportunity thanks to an announcement from the Costa Rican consulate in the city of Bari, Italy, and the help of EARTH supporter Bepi Constantino. The six participated in Edmundo Castro’s integrated practice course, which covers measuring, reporting, managing and verifying carbon neutrality. During the five-day training, the students began classes at 8 a.m. each morning and engaged in lessons through the afternoons. During the course, the students had time to get to know EARTH, its education model, the farms and the many students from countries across the globe – including Italy. “The educational model seems very advanced to us. The campus is beautiful because its many farms and all else are completely surrounded by nature. All the community work seems very impactful as well. I spoke with students who didn’t merely mention it; they really value the experience. It’s really refreshing to see young people learning how to start a business and all the other lessons the University teaches. EARTH embraces people from the moment they enter and teaches them that everyone has something to offer. In contrast, some of us are more accustomed to just receiving and the mentality that, while a student, you can’t contribute anything.” Said Carolin. 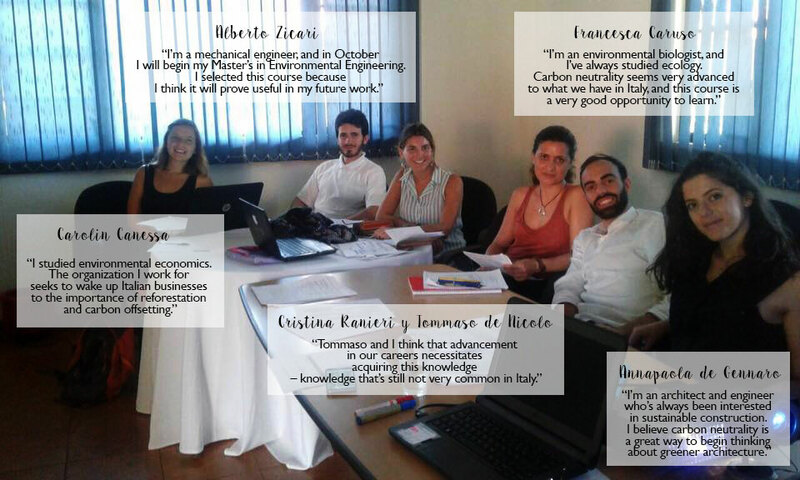 Alberto, Carolin, Francesca, Cristina, Annapaola and Tommaso on the last day of their carbon neutrality course at University EARTH. EARTH offers a variety of courses in carbon neutrality and other important environmental subjects at all times during the year. Click here to learn more about EARTH’s many continuing education and certification options.